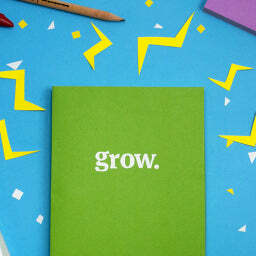 Rachel go — Web Design and Development Blog | Web Design Trends, Tips, and More by Shopify Partners. Even though efficiency is highly valued in freelancers, it isn’t a trait shared by everyone. Yet it's vital to stay on top of your work and show your clients that you're highly capable. Today, we're examining three aspects of freelancing that need to stay organized, and offering a set of tools for each that will help you optimize your workflow. Around 40 percent of the world’s population now have access to the internet. Increasingly, however, new users come online using a mobile phone only, especially in emerging markets. This means we need to optimize our websites and apps for mobile. We talked to Rachel Simpson, senior designer on Google’s Chrome UX team, to find out more. Web design and development is evolving fast, and at what feels like a constantly accelerating pace. It keeps things exciting and interesting, but it can also make you feel like you’re falling behind. We talked to 13 experts to find out how they approach continual learning, beat imposter syndrome, and stop feeling overwhelmed at the sheer amount there is to learn. Where to look for continual learning resources. Tips for how to learn in a way that is manageable. How to maximize your learning. To help you make it through the first few days (or weeks, or months) of the transition to freelancing, we asked ten successful creative entrepreneurs what they wished they’d known when they first started freelancing. The answers we received proved to be both insightful and inspiring for any web designer aspiring to move into the freelance space. A solid design portfolio will help you communicate your skills and expertise, and give you the confidence to sell yourself to a potential client or future employer. Today, a number of Shopify's experienced designers share advice on what makes a great design portfolio. Here’s what they had to say! We’ve all seen stories of designers who quit their day-jobs to freelance, only to end up building a design empire from the ground up. While those who choose to start freelancing possess an unrivalled ambition, it takes a unique mix of strategic thinking and tenacity to scale a one-person operation into a fully developed business that manages dozens of employees and clients. Luckily at Shopify, we’ve had the pleasure of working alongside many individuals who have found success building profitable web design firms — all from their humble beginnings as freelancers. And in the supportive nature of our community, we asked ten of them to share the biggest factors that influenced the growth of their businesses to help those of you striving to do the same. We hope their insights will inspire you to push forward when things get tough, and overcome the growing pains that come along with scaling any business. — Natasha Murphy, Nicely Built. What are some of the biggest factors that influenced your growth? Let us know in the comments below. Job posts often rate lots of different skills as ‘desirable,’ which we might interpret as an expectation. It’s easy to feel overwhelmed. There’s always a new tool that someone more skilled has mastered, and we’ll never be able to catch up, right? This feeling is commonly known as “impostor syndrome,” and is characterized by an inability to internalize your own accomplishments and knowledge. What imposter syndrome is and how it affects you and your professional life. Six ways for designers and developers to beat imposter syndrome. Further resources to learn more about how to deal with it.